Government efforts to maintain a trusted workforce have, to date, fallen short. Agencies’ stovepiped approaches to security clearance investigations and adjudications leave the nation unprepared to counter adversaries who seek to harm our people, institutions, and infrastructure. 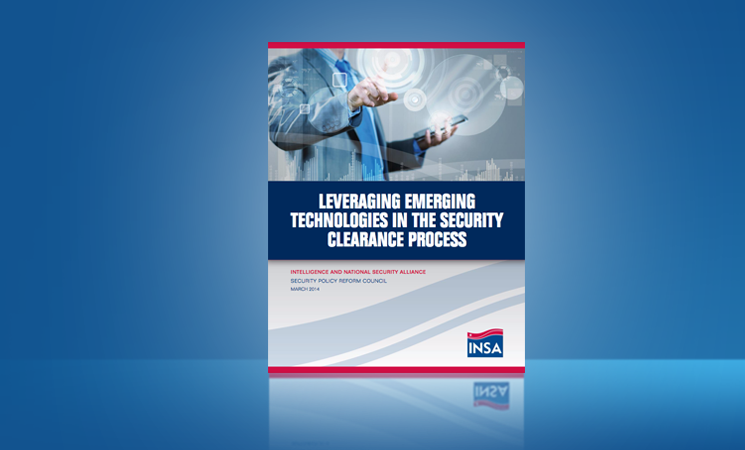 Truly transforming the government's security clearance system will require updated policies to modify antiquated, time-consuming, and resource-intensive practices; make shrewd use of new technologies; rely increasingly upon continuous monitoring and evaluation of employees’ behavior rather than periodic investigations of their past activities; and eliminate the enormous backlog in security clearance investigations. 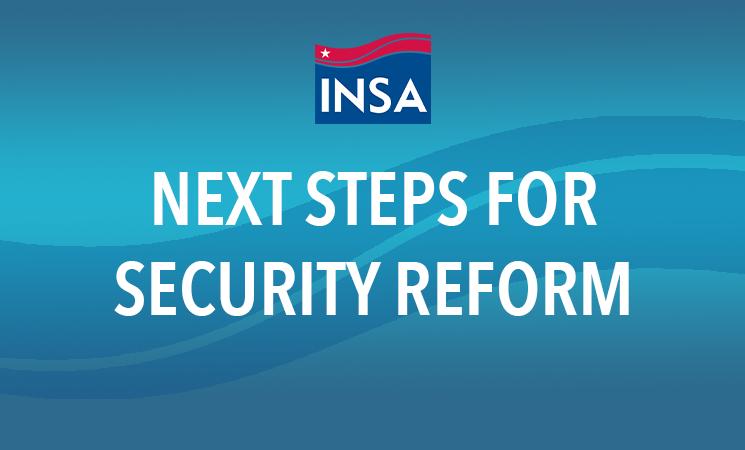 INSA’s Security Policy Reform Council seeks to transform the paradigms that govern the design and execution of security policy and programs and to serve as a thought leader on security issues. The Council works with industry and government stakeholders to identify and mitigate security challenges, develop security solutions, advocate for reforms to enhance the effectiveness of security policy and programs, and enhance industry’s ability to support and protect national security. 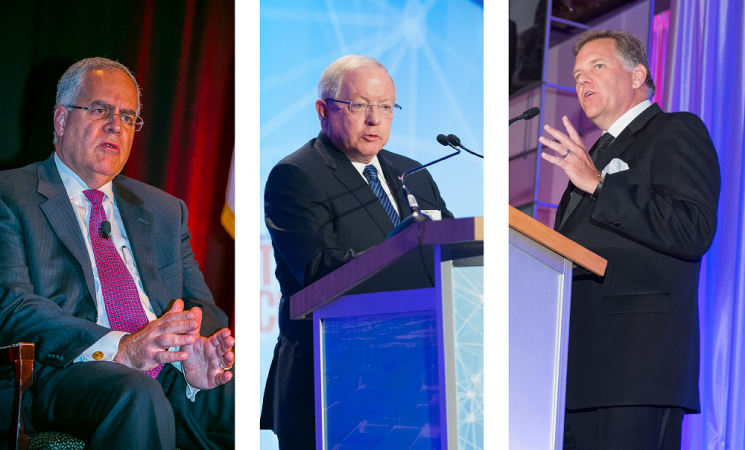 By convening security experts in government, industry, and academia, the Council promotes collaboration, information-sharing, and ongoing exchanges of views between the public and private sectors. 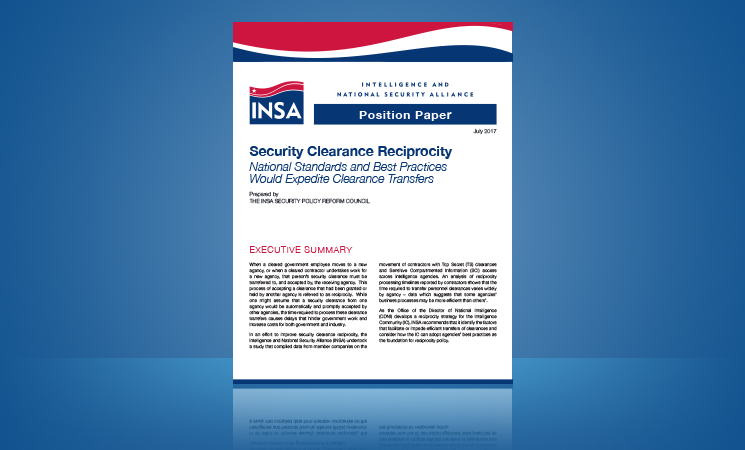 In an effort to improve security clearance reciprocity, INSA undertook a study that compiled data from member companies on the movement of contractors with Top Secret (TS) clearances and Sensitive Compartmented Information (SCI) access across intelligence agencies. 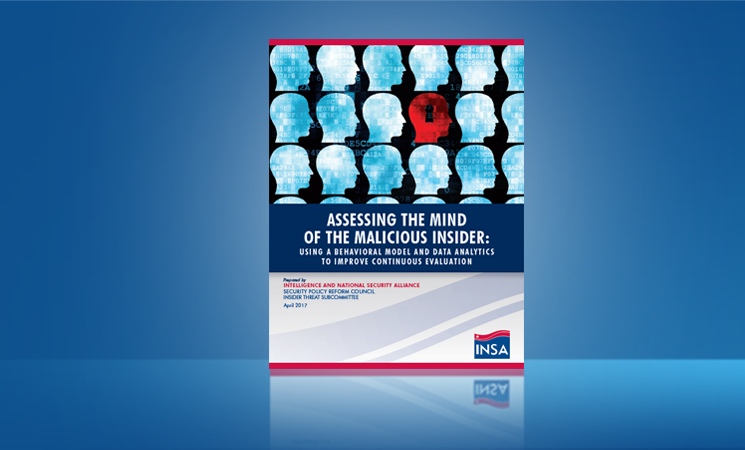 A new INSA white paper that integrates several accepted psychological constructs into a behavioral model that can be adapted for practical use and suggests new tools to mitigate threats from insiders who may intentionally decide to harm their organization or U.S. national security. This report outlines an approach to augment PRs through a process of “continuous monitoring and evaluation” (CME) that will make reinvestigations more regular and consistent; improve the relevance and accuracy of PR data collection and analysis; and enable greater portability of clearance holder data. 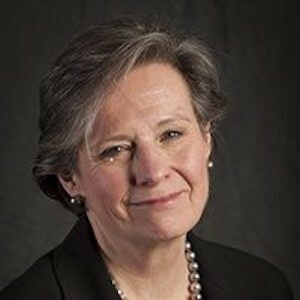 By highlighting the substantial “hidden costs” to the government that result from varying departmental practices for granting security clearances to industry and the lack of standard, integrated, IC-wide management practices and policy approaches, this paper identifies problem areas where costs can be reduced and suggests how to do it. 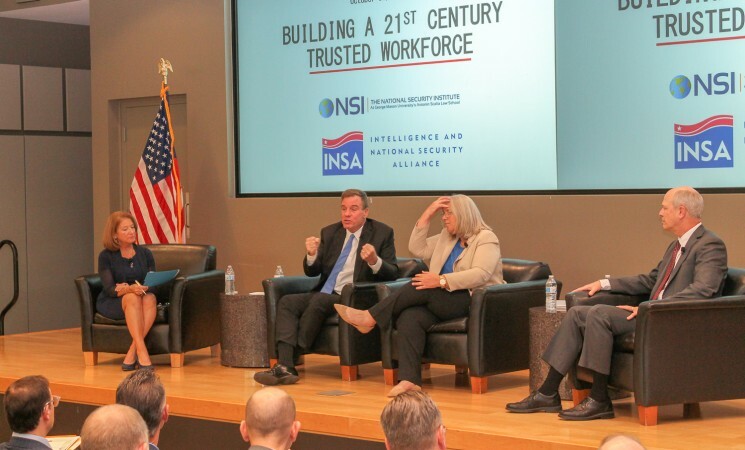 On Tuesday, October 30, INSA sponsored a panel discussion that discussed issues faced by both government and industry, ongoing initiatives to reform the clearance process, and both legislative and policy proposals to make the clearance process more effective and efficient. 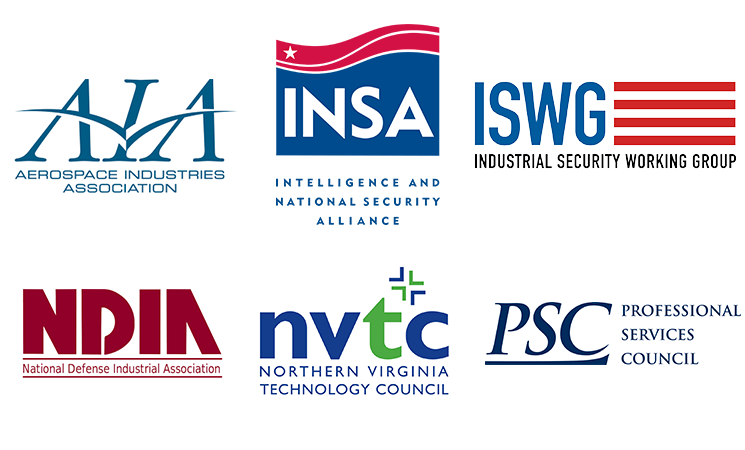 INSA was among six organizations to sign a letter urging Congress to take "concrete actions" toward addressing deficiencies and risks in the security clearance process. The letter was addressed to the leadership of the U.S. Senate and U.S. House Armed Services Committees, respectively. Charlie Allen Op-ed Addresses "Culture of Leaking"
"The American public has grown increasingly accustomed to the revelation of national security secrets, and leakers are lauded as heroes exposing government abuses," writes INSA senior intelligence adviser Charlie Allen. "In doing so, society marginalizes the detrimental impact to national security." 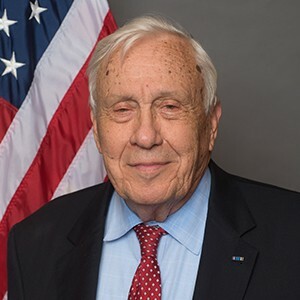 Charlie Allen, INSA's senior intelligence advisor and chair of its Security Policy Reform Council, was quoted by Government Executive in its October 6, 2017, article, Bill Targeting Security Clearance Backlog Advances in Senate. 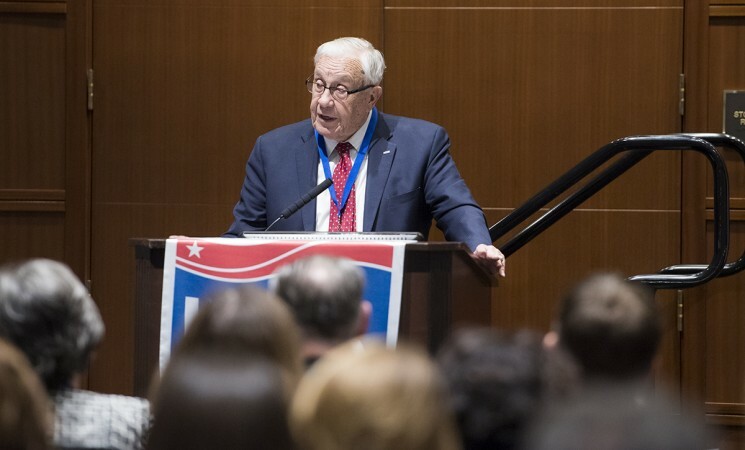 INSA President Chuck Alsup joined former acting director of DIA, David Shedd, and former HPSCI chairman, Mike Rogers, in an op-ed published August 22 by Defense News.